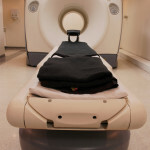 Despite the development of newer technologies such as computed tomography (CT), ultrasound imaging and magnetic resonance imaging (MRI), plain film X-rays remain an important tool for the diagnosis of many disorders. 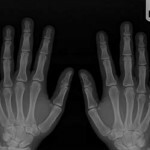 Where x-rays provide accurate imaging of bones and some tissue, CT scans are used to provide detailed images of softer tissues. These scans can provide measurements of organs and detailed images of irregularities. Physicians will commonly use a CT scan if an X-Ray is not capable of providing detailed information about the soft tissues.